Auctioneer's Corner - Henslin Auctions, Inc.
Farm equipment and farmland auctions have been gaining popularity over the last decade for both buying and selling. Today we will introduce you to Henslin Auctions, Inc. located in Minnesota. With two award winning Auctioneers at the helm, this father and son small town company is making a big splash in the auction world. Farmers Hot Line: Lets say I’m a bidder that is not familiar with your company, tell me about yourself. 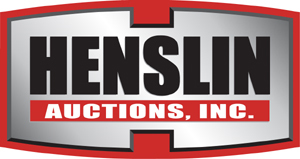 Allen Henslin: Henslin Auctions, Inc. is a family owned and ran company since 1981 and is headquartered in Bird Island, Minn. We’re a full service auction company specializing in farm and construction equipment, farm land, and real estate auctions. My father, LaDon, and I have held auctions in Minnesota, Wisconsin, Iowa, North Dakota, South Dakota, New Jersey, Indiana, Illinois, California, and Pennsylvania. We have also participated in auctions in the Philippines with the group Asia International Auctioneers (AIA). In Febuary 2014 I won the 2014 North Dakota Auctioneers Association (NDAA) Auctioneer Contest and was also a guest speaker at the convention. 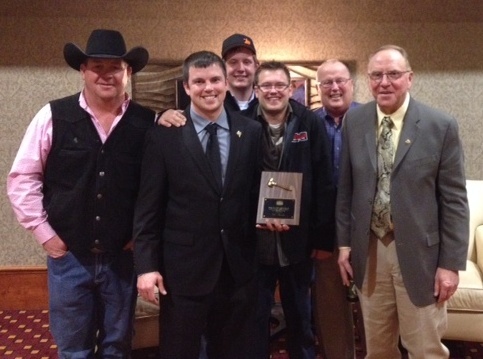 I competed with other auctioneers from Minnesota, North Dakota, and South Dakota. I am currently serving as a board member on the Minnesota State Auctioneers Board of Directors. 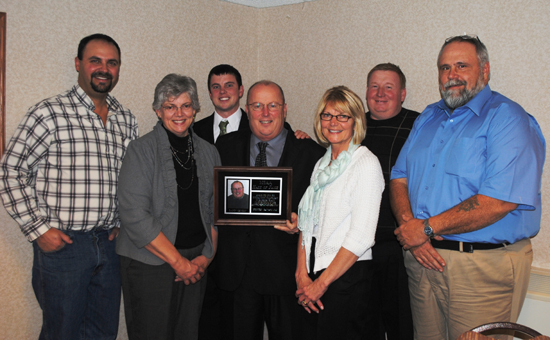 My father, LaDon, was inducted into the Minnesota State Auctioneers Association (MSAA) Hall of Fame as an Active member in 2013. Henslin Auctions received First Place in Promotional Auction Specialty at the 2013 MSAA Conference and Show. LaDon has also won the Minnesota Champion Auctioneer contest as well. Online auctions vs. In-person bidding—thoughts? Both. The majority of Henslin auctions are simulcast. This means that I will be at an auction, and at the same time we will have live bidding on items on the internet. We do have some auctions that are strictly online for live bidding. We like to have the bidders at the physical auction if at all possible. This allows them to see the items in person. We do ship equipment around the world for buyers. We have experience with sending equipment to Spain, Belgium, Europe, Canada, Mexico, and across the U.S. We have a list of heavy equipment shipping companies available for our buyers. What were your “Top 5” popular pieces of equipment last quarter? CAT and Massey Ferguson tractors have been very popular lately. We have also had an increased interest in hay equipment for both farm and dairy use. Do you see any trends in the type of equipment be auctioned / bought? Good and clean used equipment with low hour engines are bringing in an absolute premium. Small to medium size equipment has been very strong. We are seeing softened market for late models with high hours. These include 4-wheel-drive tractors, corn heads, and flex heads. What is the highest priced item auctioned in the last quarter? In 2004 my dad and I were participating in an auction in the Philippines. It was 9:30 at night, in the pouring rain and we sold a generator for 1,840,000 Philippine pesos (apprx. $42,790 US dollars). In 2007 we auctioned a rock crusher in Hector, Minn. for $380,000 to a client in Vancouver, Canada. What is the highest count of one type of equipment in your auctions recently? At two different sales we have had approximately 80 compact/utility and collector tractors in each auction. If you could give someone attending an auction one tip what would it be? Be sure you show up early. This will give you a chance to inspect the items you’re interested in. As a buyer you want to ask any and all questions about items before the auction starts. Most importantly, have fun! What do you see as the “up & coming” type of equipment? I think the farm and construction equipment is going to stay popular. Real estate and land has become very popular over the last 10-15 years. Record land prices are being obtained at public land auctions. How big of a roll does time-of-year play on sales? Early spring to late fall has proven strong for farm equipment and land sales over the years. Any big auctions coming up? On June 7 we have an auction in Atwater, Minnesota where we will be auctioning a small helicopter, six airplanes, lots of recreational items, and more. We will be in Tower City, Pennsylvania liquidating a large potato farm at the end of July. And we also have large farm retirement auctions in the summer and fall of 2014. Checking our website for the latest events. Be sure check out website—www.henslinauctions.com—for upcoming auctions. If you are looking to have an auction, give us at Henslin Auctions, Inc. a call at (320) 365-4120 and ask for Allen or LaDon.